WHILE we may know that we should stop eating for the day at 7 or 8pm each night to give the body a minimum of 10-12 hours without food, when you are up late, not eating a lot in total and trying to restrict carbs, it is not uncommon to feel a little peckish a couple of hours after dinner. 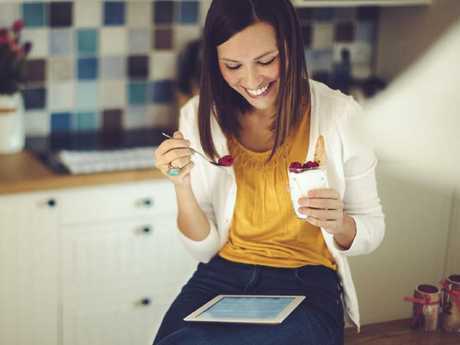 The trick when it comes to late night snacking is to keep well clear of the sugary, high fat treats such as ice cream, biscuits and lollies which will do nothing to enhance your sleep later on. 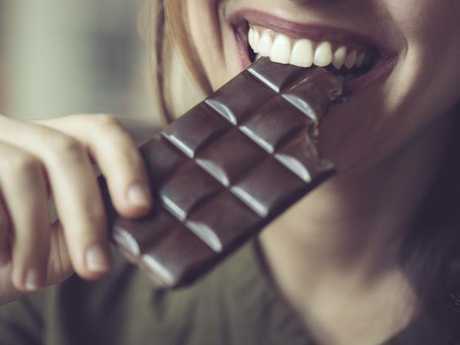 Chocolate too is a big no, as the caffeine content of chocolate - especially dark chocolate - will most likely keep you awake and alert for another few hours. Avoid chocolate late at night. Rather we are looking for calorie controlled options that contain a mix of good quality carbs to help curb your hunger, add a little protein or fibre to boost the snacks nutrient value. So if you are feeling genuinely hungry after dinner, here are your best late night snack options. 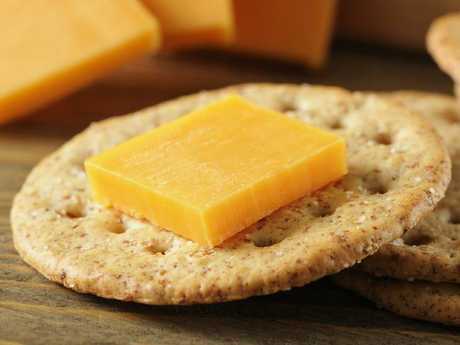 The carbohydrates found in the wholegrain crackers will help to satisfy your hunger, while the protein and in particular the amino acid tryptophan found in cheese will help to relax you and help induce sleep. The snacks you should turn to if you want a late night snack. High water fruits including melon and berries are a good choice late at night as they contain relatively few calories. Teamed with a small handful of 20 mixed nuts creates a perfect carb, protein snack balance. Cheese and Crackers are a good late night snack. There are a wide range of 100% nut spreads available in supermarkets now that team beautifully with some chopped celery or cut up apple slices. Try cottage cheese because it is a low calorie, high protein option while goats cheese contains just 18% fat compared to regular cheeses. Both work well with some wholegrain corn crackers a few slices of cucumber or tomato. Once you have enjoyed a frozen banana you will never need to seek out high fat ice-cream to satisfy your cravings again. A frozen banana, for just 100 calories tastes like a delicious banana ice-cream and if you wanted to be particularly adventurous you could also dip it in Greek yoghurt and nuts and then freeze it for an extra delicious snack. Plain Greek yoghurt unlike many fruit yoghurts is extremely high in protein and also relatively low in sugar. To make it a little tastier all you need to do is add some fresh berries along with some cinnamon or vanilla essence and you have a sweet tasty snack with minimal calories. Unlike a number of toast toppings avocado offers the benefit of not adding any sugar to a snack and a thin spread on a small slice of sourdough or grain toast is a filling, portion controlled snack. As an alternative to a late night sandwich, some tryptophan rich turkey breast served on a thin wrap such as a Mountain bread will satisfy your craving for carbs minus the calories. 2 cups of plain popcorn contains just 55 calories, 2g of protein and 2g of fibre - the key is to avoid adding any extra butter. 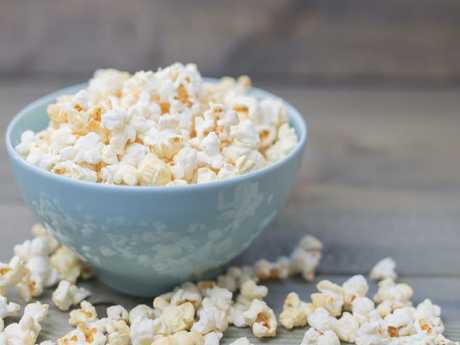 Two cups of popcorn is just 50 calories. It may sound like a rather odd snack recommendation but not only are pumpkin seeds incredibly rich sources of protein, zinc and essential fats, but the fact they take a while to shell will slow down your eating. If you stick to 1/3 cup you will not go wrong with this nutrient rich snack.